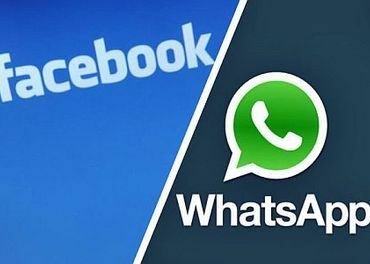 Facebook has acquired Whatsapp for a whopping 19 Billion dollars. After going through all the posts on my Newsfeed from my school super juniors to my uncles and aunties, I wanted to predict what differences would each of the companies undergo. This is just a figment of my imagination. So no suing ok.
Facebook buys Whatsapp – Whats Next? One of the best features of Whatsapp which gives you a Last Seen on information will get even smarter. It will say interesting messages about your Facebook usage to the people who look you up on Whatsapp. When your message gets delivered on Whatsapp, there are two tick marks. This will be replaced by a Like Symbol – The famous thumbs up one (Come on WordPress, We badly need these symbols). You are using Facebook on phone and you find a interesting meme – No downloading and saving and forwarding with Whatsapp. You will be able to do it directly. A girl approves your friend request on Facebook. You have her contact on Whatsapp. When a Facebook event is created, all the members who are going to the group will be added to a Whatsapp Group. The one who created the Facebook event will be the group admin. Every birthday message posted by your friend on your wall will be a Whatsapp Message to you. What else can we expect ? Hilarious but does sound true! Great post! Facebook and Whatsapp now….what next?! Good one:-). Hope your concerns are taken into account!! !